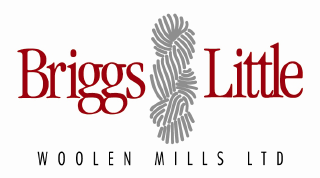 Information – Wool Knitting Yarn from Briggs & Little Mill Ltd. Wool Knitting Yarn from Briggs & Little Mill Ltd.
To ensure colour consistency, all yarn for a project should be purchased at once to obtain the same dye lot number (printed on the label). Contact Us for more details. TIP: Although yarn amounts stated in the pattern allow some variance, if knitting sleeves or body of a garment longer than average, extra yarn may be needed. We recommend Eucalan woolwash for cleaning your woolens. This product gently cleans your garment, while maintaining the lanolin content and also contains a natural moth Inhibitor. The advantage of skeined yarn is that the natural elasticity of pure wool is retained when prepared in loose skeins rather than tightly wound balls. Skeins of yarn are tied together at intervals to prevent tangling. Do not untie the skeins until you are ready to wind the yarn into balls. To wind each skein into a ball, first rest the skeins over your knee (while seated); hang the skein over someone elses outstretched hands; or on the back of a chair so the skein forms a circle, cut or untie the knot. Pick up one end of the yarn on the skein and wrap it loosely, about 25 times, around the four fingers of your hand. Note the original end of yarn which must never be lost. Continue winding the yarn around the yarn in your hand and around your fingers about 25 times. Holding the yarn together, remove your fingers from the yarn ball. Repeat the process until the ball of yarn is complete. TIP: Specially designed yarn winders for avid knitters are available from yarn retailers. Gauge is the term used to describe the number of stiches within a specific width and length of knitted fabric, as determined by the designer for a particular pattern. The stitches per inch for the same yarn may vary from design to design, depending on whether the fabric is to be plain or textured. For best results, before starting to knit, make a 4″ x 4″ (10cm x 10cm) swatch, using the suggested yarn and needles. If the swatch is too wide, try smaller needles; if too narrow, try larger needles. TIP: For best results, wash or gently steam the swatch before measuring. The measurements given for the garment patterns are average. For best results, measure the person for whom you are knitting. Note the person’s chest size at the fullest point and knit the garment with the desired finished chest measurement, allowing for freedom of movement. Measure the arm length from the wrist to about 1″ (2.5 cm) from the armpit, and the desired body length from the hips to the about 1″ (2.5 cm) from the armpits. TIP: Before starting to knit, circle or underline all of the numbers relating to the size you desire. Your pure wool Briggs and Little garment, when not being worn, should be folded and stored in a drawer or on a shelf, never on a hanger.